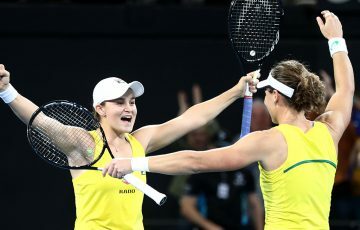 Australian No.1 Ash Barty teams with the Netherlands' Demi Schuurs to win the Internazionali BNL d’Italia doubles title. 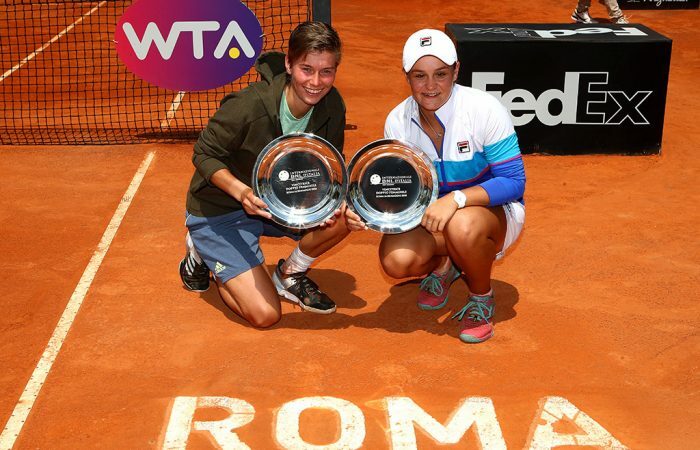 Ash Barty is set to rise to a new career-high doubles ranking of No.5 after teaming with Dutchwoman Demi Schuurs to win the Internazionali BNL d’Italia doubles title in Rome. 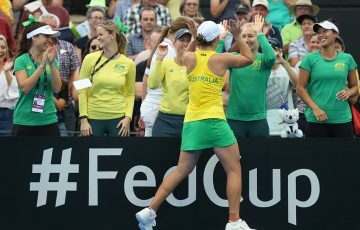 Playing together for the first time this week, Barty and Schuurs defeated second-seeded Czech combination Andrea Sestini Hlavackova and Barbora Strycova 6-3 6-4 in the final. They recovered from a 0-4 deficit in the second set to win the title. 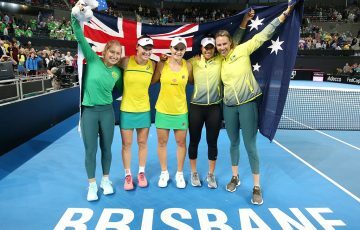 It is Barty’s seventh WTA doubles title and second this season, after teaming with American CoCo Vandeweghe to win Miami in March. Barty continues her French Open preparations in Strasbourg this week, where she is the top seed in a WTA singles main draw for the first time in her career. Daria Gavrilova is the tournament’s second seed and faces a potential second round showdown with compatriot and defending champion Sam Stosur, in what would be a rematch of last year’s final. 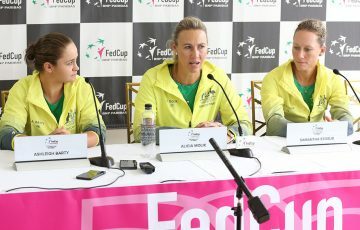 All begin their campaigns today (from 7pm AEST). 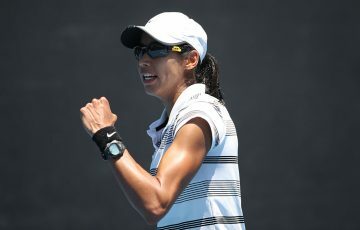 Barty faces Thailand’s Luksika Kumkhum, Stosur plays American Sofia Kenin and Gavrilova meets American Jennifer Brady in first round action.